Instantly downloadable sheet music by Benny Andersson for choir and piano (SSA) of MEDIUM skill level. Alle Notenausgaben von I Have A Dream – Choral Highlights from the Movie Mamma Mia! (Medley) zum Herunterladen bei VirtualSheetMusic. 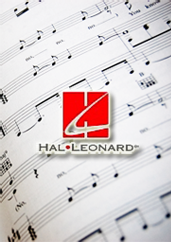 Instantly downloadable sheet music by Don Black for choir and piano (SATB) of MEDIUM skill level. Instantly downloadable sheet music by Charlie Midnight for choir and piano (SATB) of MEDIUM skill level. Alle Notenausgaben von Raining Sunshine (from Cloudy With A Chance Of Meatballs) zum Herunterladen bei VirtualSheetMusic. Alle Noten von Charlie Midnight zum Herunterladen bei VirtualSheetMusic. Instantly downloadable sheet music by A.R. Rahman for choir and piano (SSA) of MEDIUM skill level. Instantly downloadable sheet music by Adam Anders for choir and piano (2-Part) of MEDIUM skill level. Alle Notenausgaben von Send It On zum Herunterladen bei VirtualSheetMusic. Instantly downloadable sheet music by Richard O`Brien for choir and piano (SATB) of MEDIUM skill level. Instantly downloadable sheet music by Stephen Schwartz for choir and piano (2-Part) of MEDIUM skill level. Alle Notenausgaben von When You Believe zum Herunterladen bei VirtualSheetMusic. Alle Notenausgaben von Rehab zum Herunterladen bei VirtualSheetMusic. Instantly downloadable sheet music by Deborah Harry for choir and piano (SATB) of MEDIUM skill level. Alle Notenausgaben von Hit Me With Your Best Shot / One Way Or Another zum Herunterladen bei VirtualSheetMusic. Alle Noten von Deborah Harry zum Herunterladen bei VirtualSheetMusic. Instantly downloadable sheet music by David Hodges for choir and piano (2-Part) of MEDIUM skill level. Alle Notenausgaben von There`s A Place For Us zum Herunterladen bei VirtualSheetMusic. Alle Noten von David Hodges zum Herunterladen bei VirtualSheetMusic. Instantly downloadable sheet music by Danny Elfman for choir and piano (SAB) of MEDIUM skill level. Alle Notenausgaben von Endless Love zum Herunterladen bei VirtualSheetMusic.